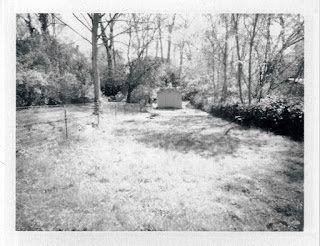 I was not doing very well with very limited time to try and take a 4 X 5 b&w instant analog pinhole photo for Worldwide Pinhole Photography Day. I had only 4 chances with my last 4 sheets of film. 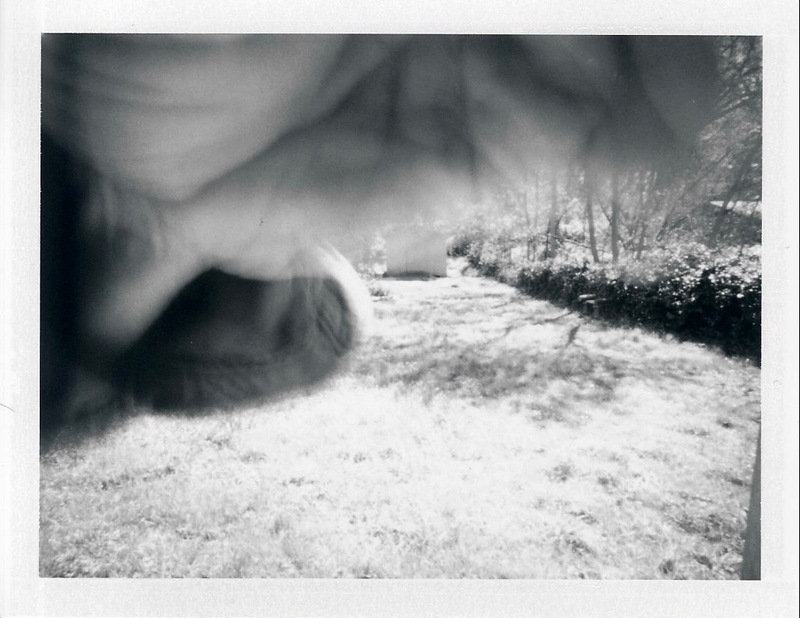 And I had not used the camera for about a year. First I forgot to remove the dark slide and got all black of course. You can imagine that one for yourself. Then I was so clumsy that my hand was in the way. It is rather hard to move a mechanical shutter quick enough for this very fast film. Then I got it to where only a some of my fingers were in the photo. Then I got the closest I could get to okay with the last sheet of film. Not a huge success but I did celebrate WPPD before I went to work. 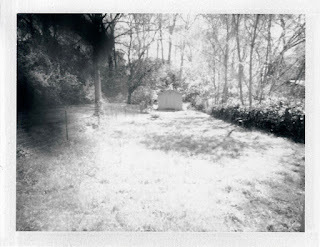 This is probably the worst photo I have taken to enter into the Worldwide Pinhole Photography Day Gallery. Go see what others have put up so far.